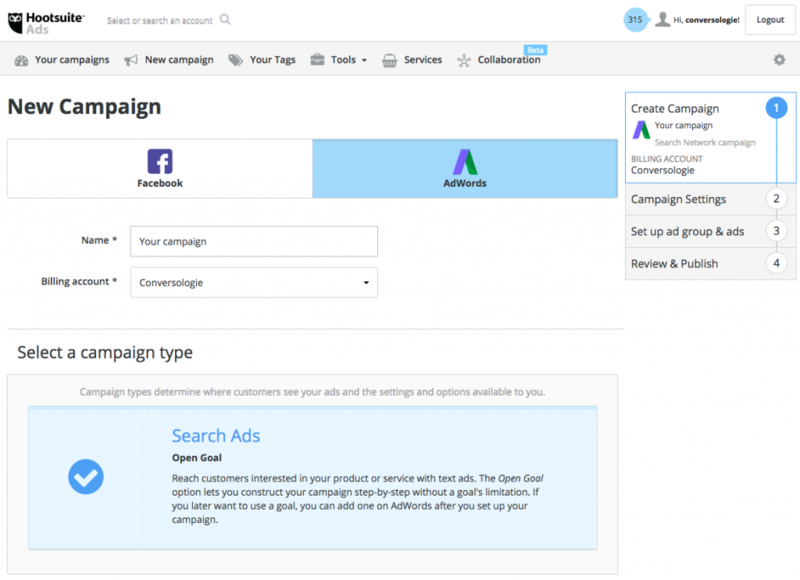 It was already one of the most powerful tools for managing social posts and ads across channels. For those who have seen the light, Hootsuite Ads has long been the indispensable tool for simplifying placements, scheduling, for gaining analytics and audience insights, and for the effective management of social campaigns. The one thing Hootsuite Ads lacked was integration into Google Ads, and the ability to manage campaigns through Search and Display on the Internet giant’s massive portfolio of sites, services and affiliates. No more. In an official press release this morning (NZ time) Hootsuite announced its Google Ads integration and Premier partnership certification. The ability to seamlessly combine and coordinate search and social ads using Hootsuite Ads allows enterprise brand and social media managers not only to develop and manage their campaigns across the many platforms, but to compare results, track spending, and reallocate budget to optimise campaigns in a way never before possible. “We’re excited to be working with Google in this integration. They are the market leader in search and in global online advertising, helping businesses worldwide drive increased return on their investment,” said Penny Wilson, CMO of Hootsuite. The comprehensive functionality and the ease of using Hootsuite will make this the indispensable tool of digital marketing, both for its time-saving and efficiency, but also as a way of measuring and maximising ROI for digital spend. 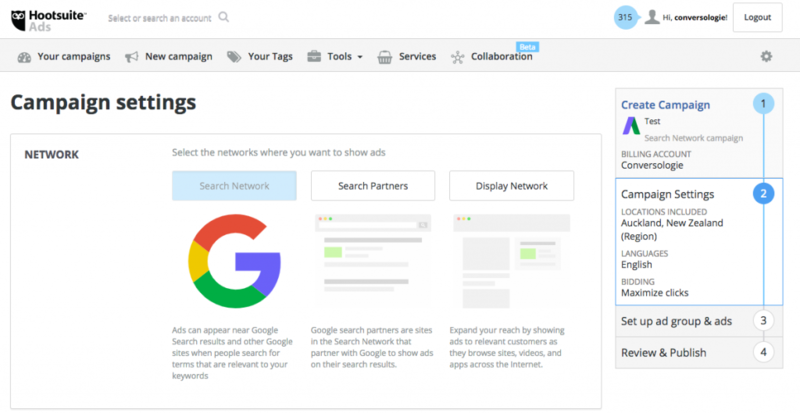 You can find out more about Hootsuite’s Google Ads integration here. The fact that this integration has Hootsuite recognised as Google Premier Partner certifies the platform as a leader in campaign management. Here in New Zealand, Conversologie is Hootsuite’s official Digital Services Partner. To get more info and sign up for Hootsuite’s exciting new integrated service you can book a personal consultation with Jam today.